I have become fascinated by conservation communication campaigns. One of my current favorites is in honor of the National Park Service’s 100 Year Anniversary, and is known simply as #FindYourPark. When many people think “National Park,” they picture Yosemite or Yellowstone, which for many of us are hundreds, if not thousands, of miles away. The National Park Service (NPS) wants to remind us that there are over 400 national parks in the system, so in all likelihood there is a park nearby for all of us. Through their “Find Your Park” tool, they can help everyone find the perfect park for them. With their sharing tool, hashtag, and video contest, they are inspiring people across the country to share their NPS story. So far, so good: the hashtag has been used over 140,000 times on Instagram alone. Excited by their campaign, I decided I want to participate. 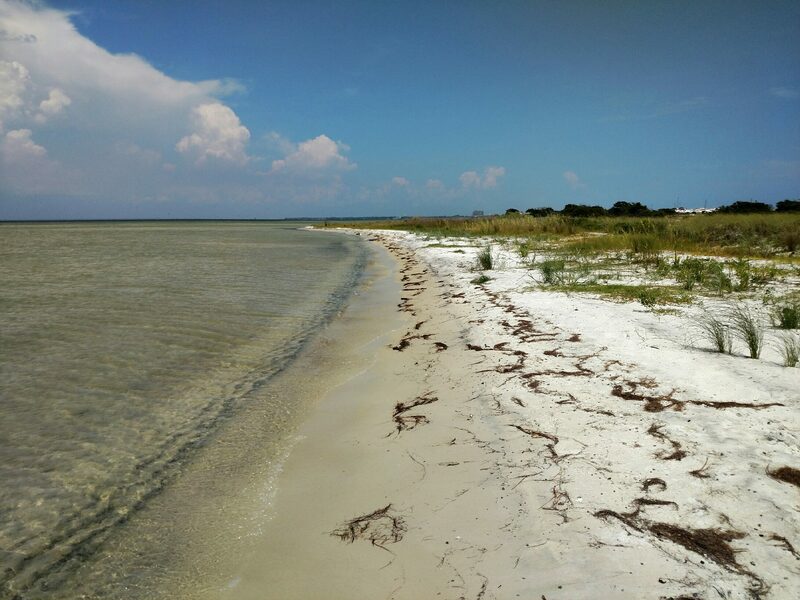 I live and work near the Okaloosa Island Area of the Gulf Islands National Seashore, so I stopped by, walking along the Choctawhatchee Bay on a beautiful Sunday afternoon. At the end of my visit, I had taken video that I used to enter the contest, and shared my photos with my friends. A few people asked what the hashtag was all about, and decided to visit their local parks as well. The NPS needs all the recognition it can get. Budget shortfalls have led to a backlog of necessary maintenance within our parks, while new land in need of protection should be added to the system as a whole. To garner more funding, people across the country must voice their support of the parks and show state and national representatives what these natural treasures mean to us. The #FindYourPark campaign is not only fun, it could have a lasting positive impact on the NPS!